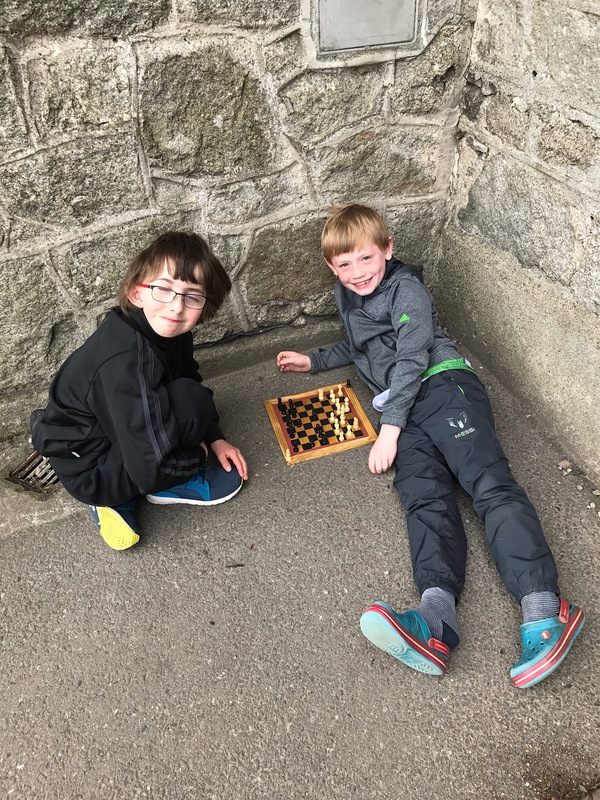 Pupils from 1st to 6th enjoyed creating and playing games in sunshine. 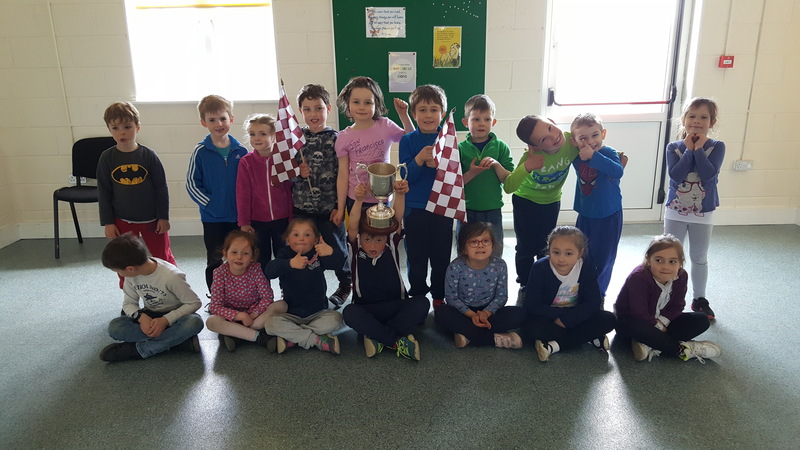 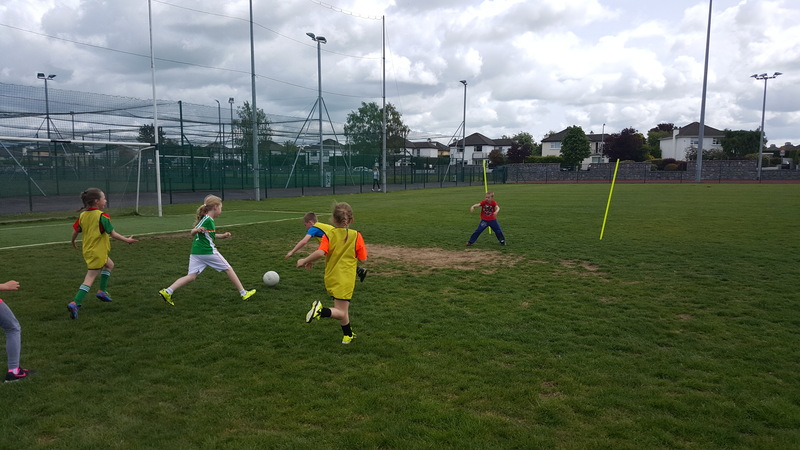 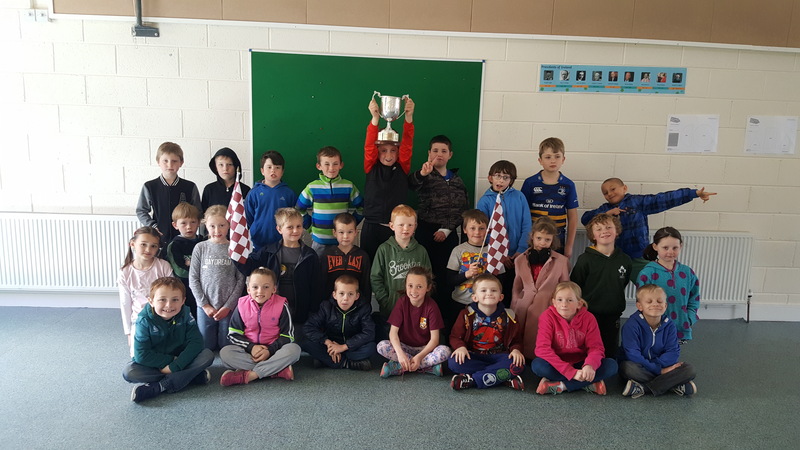 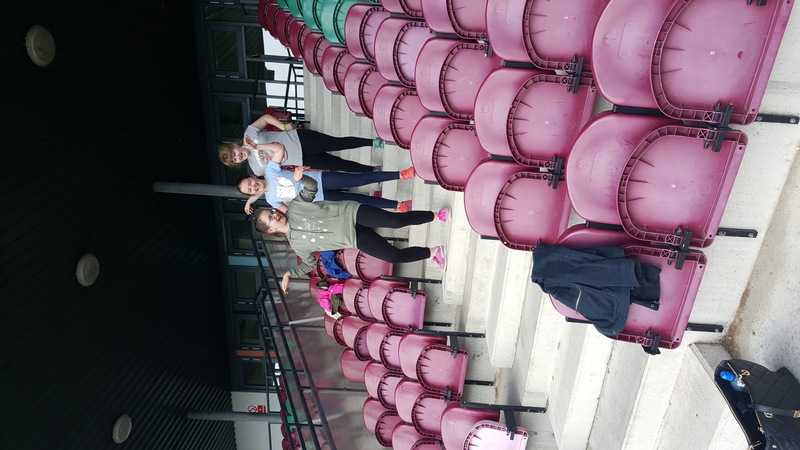 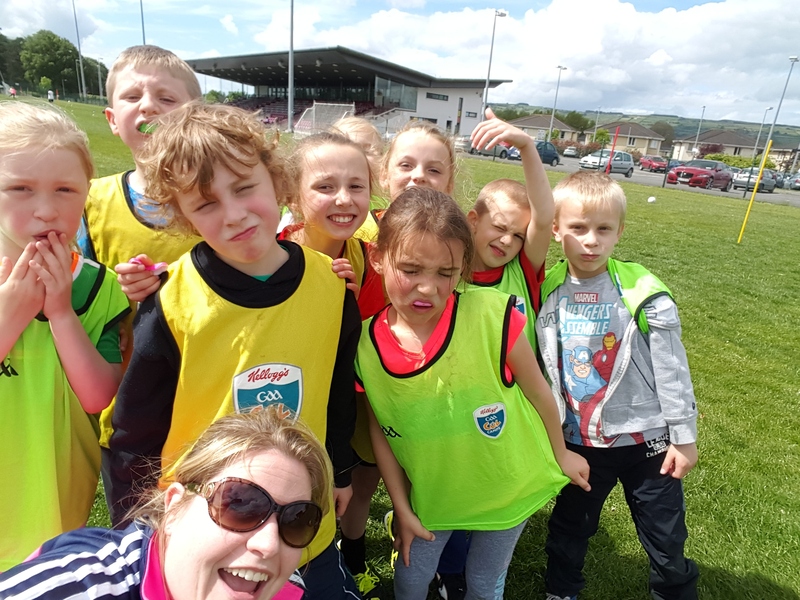 GAA blitz in Calrow I.T. 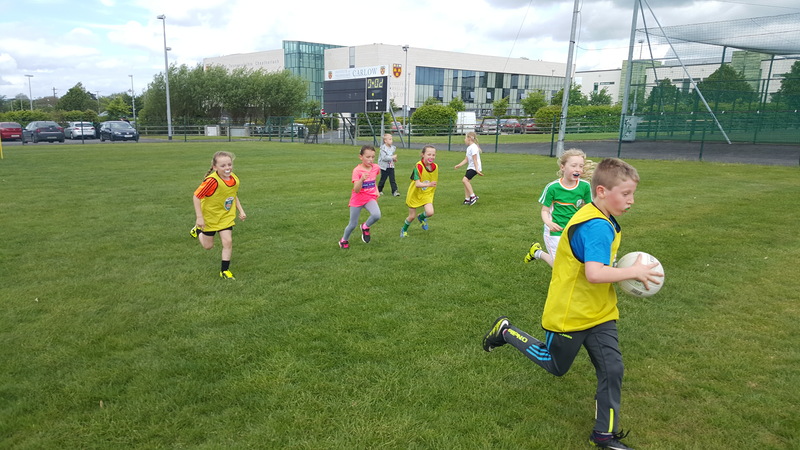 1st to 6th Class had great fun at the annual GAA blitz in Carlow I.T. 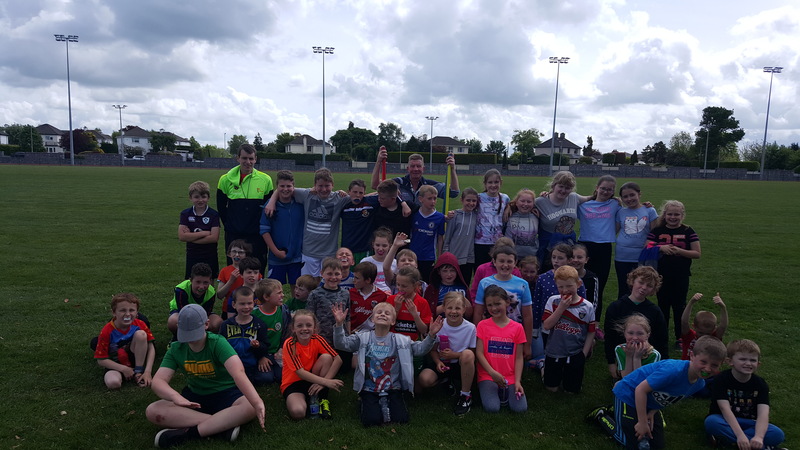 with Carlow N.S.. We’d like to thank all the coaches that gave of their time to make it a great day. 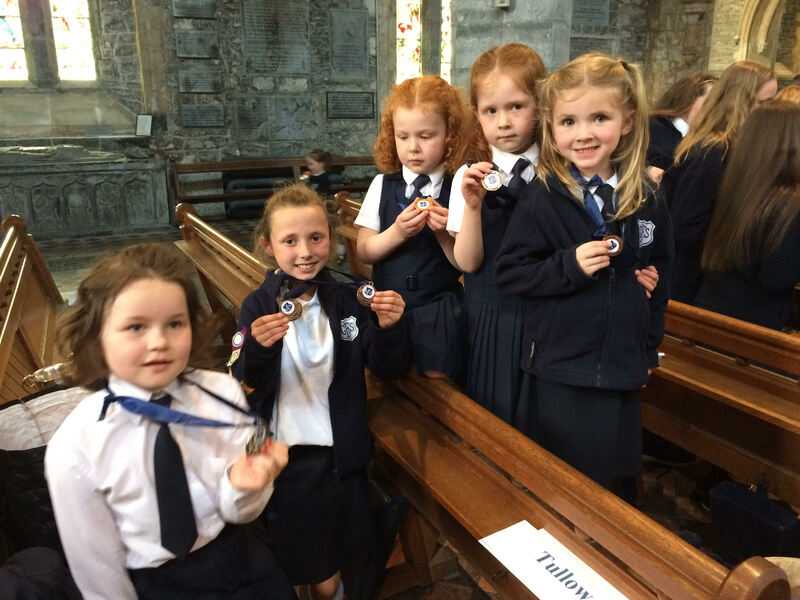 Tullow GFS won lots of prizes at the Diocesan GFS service held on Sunday 14th May in St. Canice’s Cathedral. 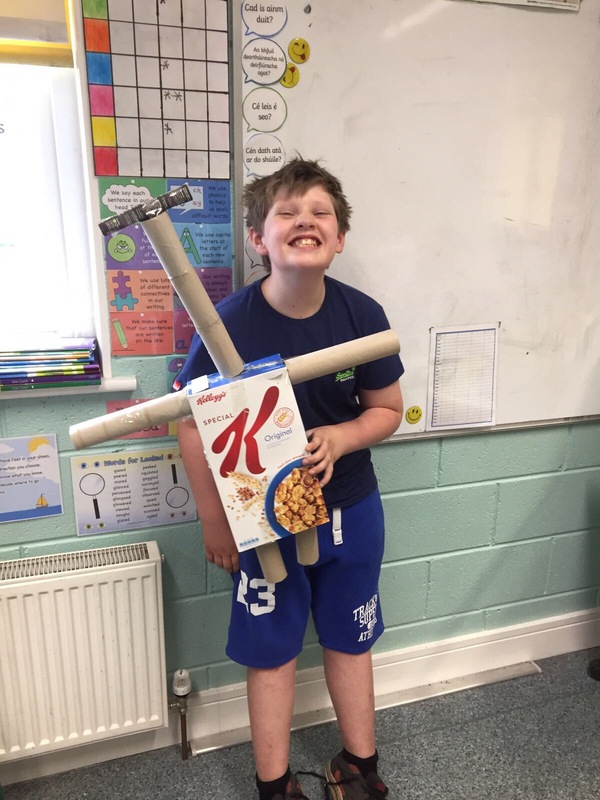 Well done to all of our Bible Study prize winners, who are pictured below. 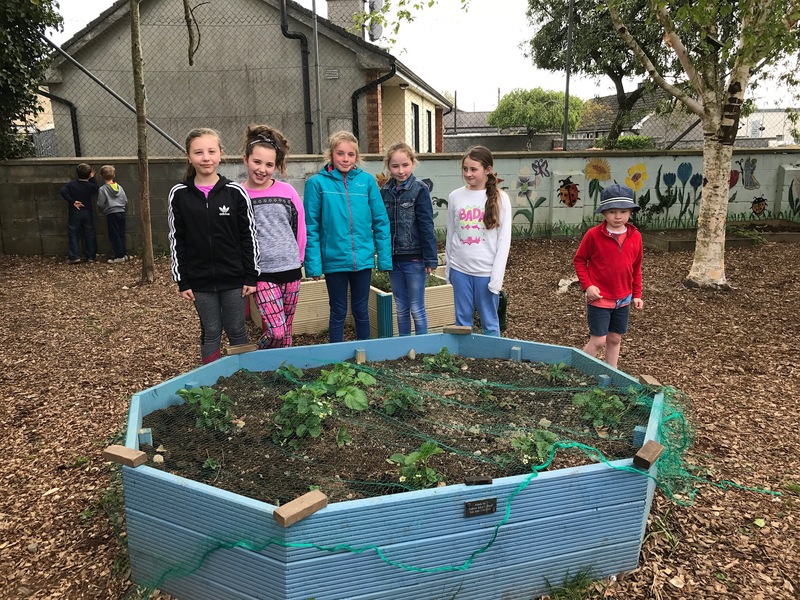 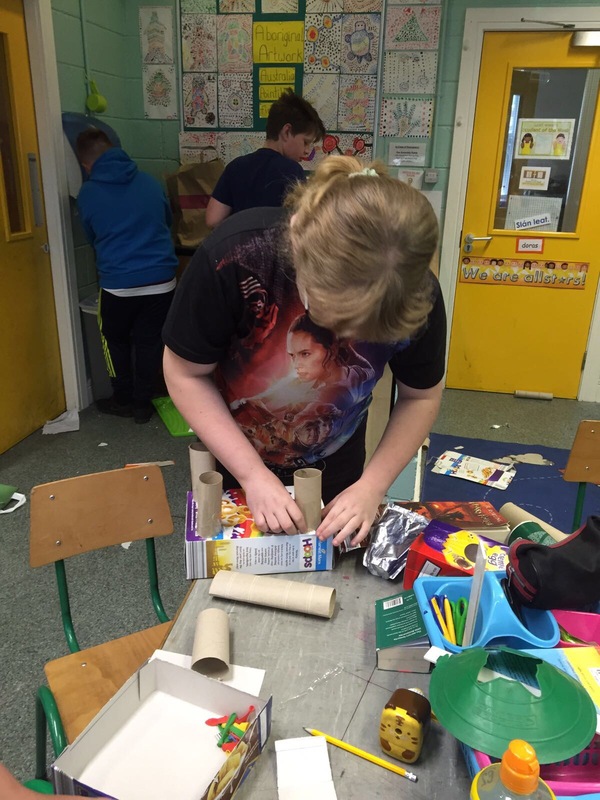 A special congratulations to Abi Codd who was awarded First Prize in the All-Ireland craft section, Síne Myers who came third and our two Highly Commended craft winners – Ella Byrne and Aoibhe Collier. 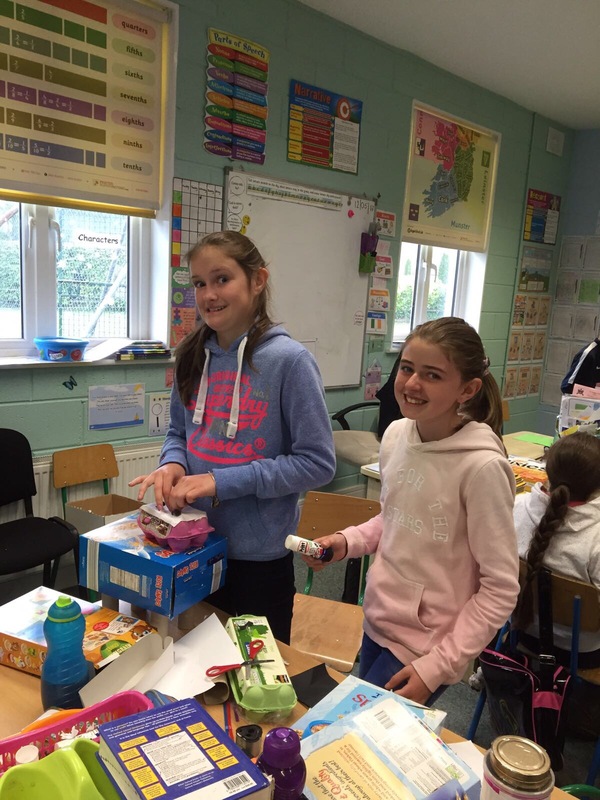 Thank you to the leaders who give generously of their time to help our girls in GFS. 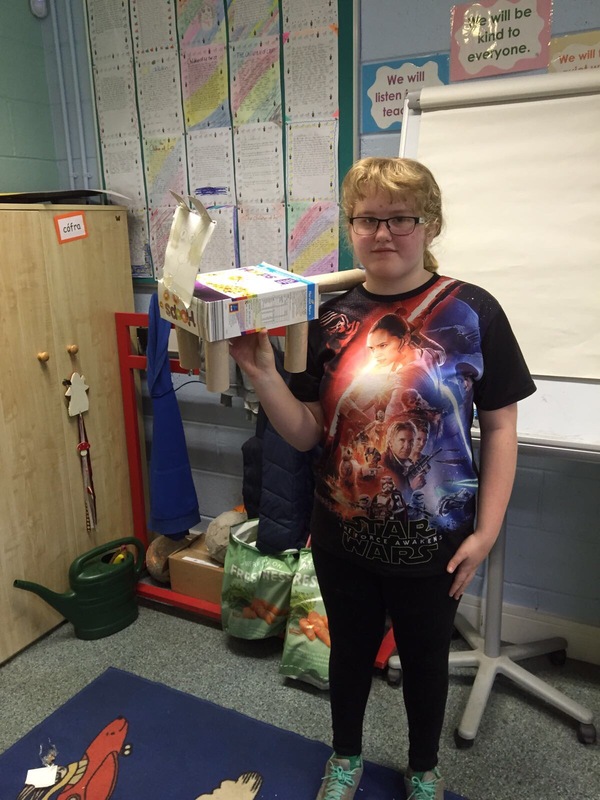 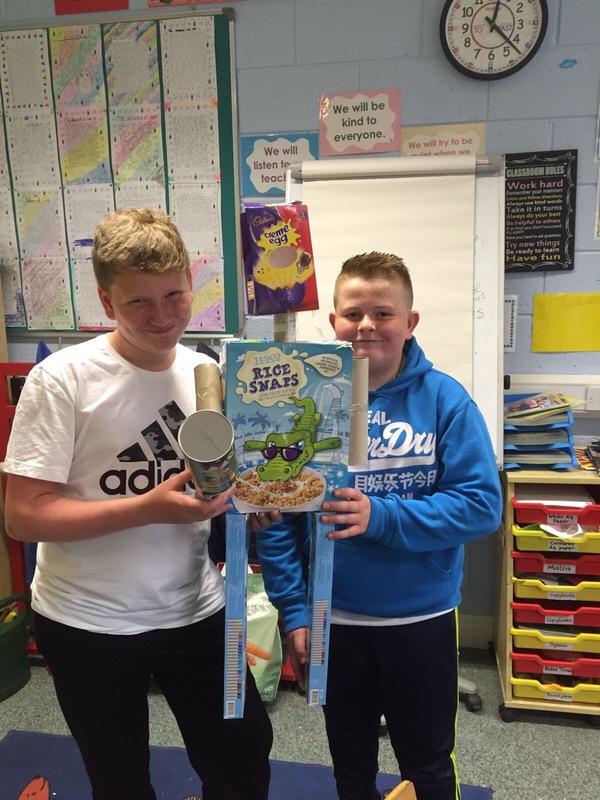 Fourth, Fifth and Sixth Classes had lots of fun designing their Junk Art constructions with Ms. O’Neill. 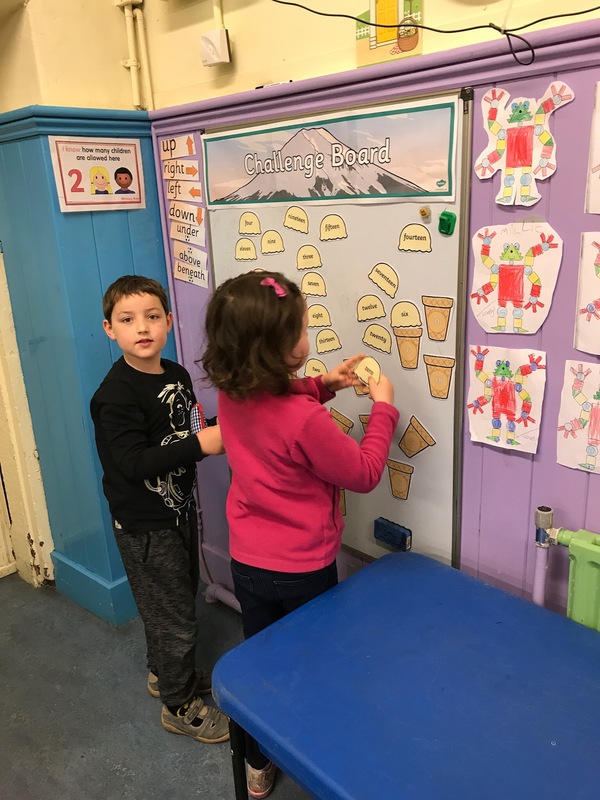 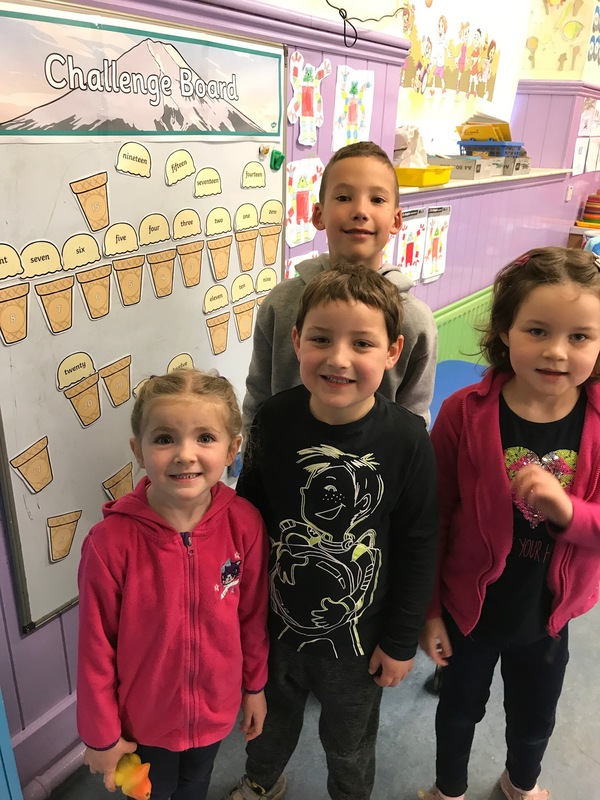 Junior and Senior Infants are having lots of fun making number ice-cream cones at their Challenge Board. 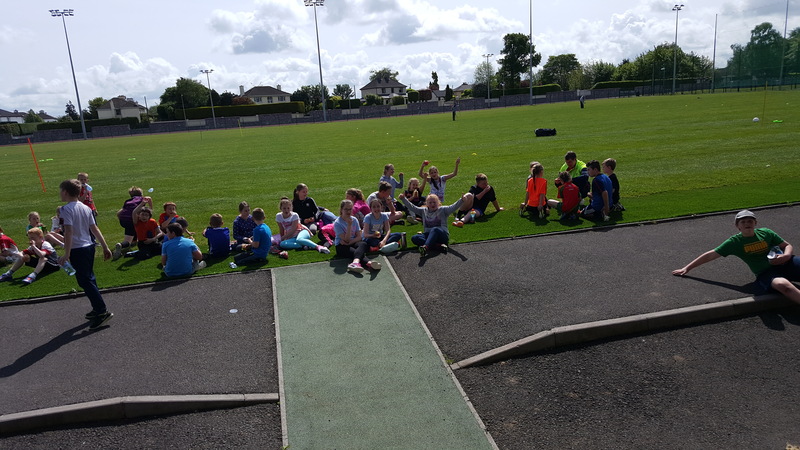 Our children are having great fun in the sunshine at breaktime. 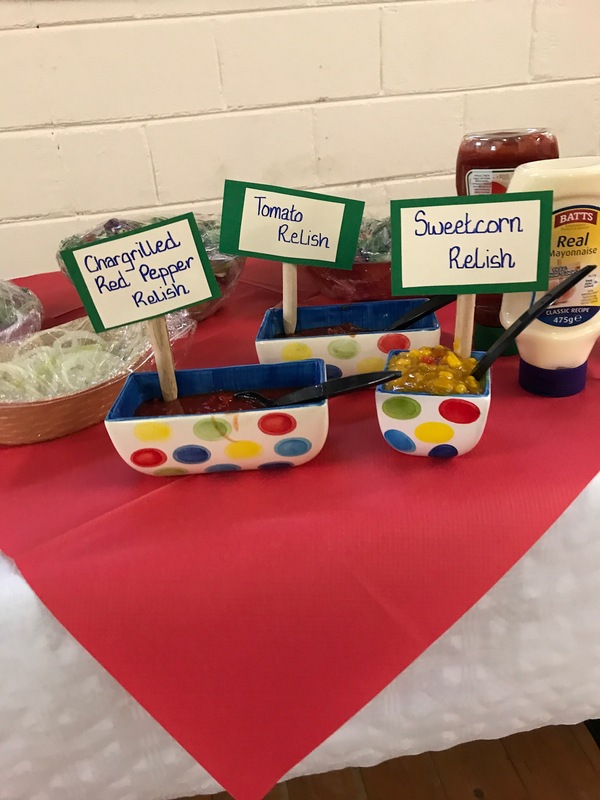 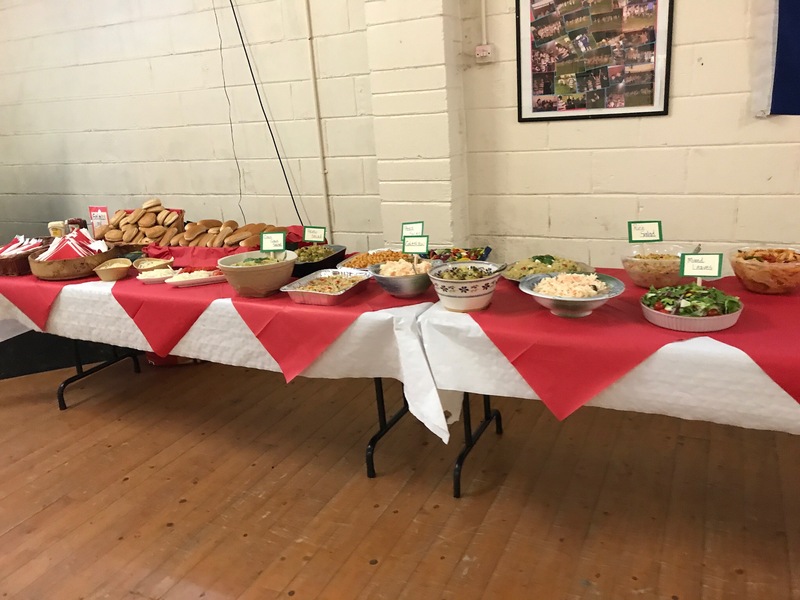 A fabulous evening was had by all who attended our PTA barbecue on Saturday 6th May in the rugby club. 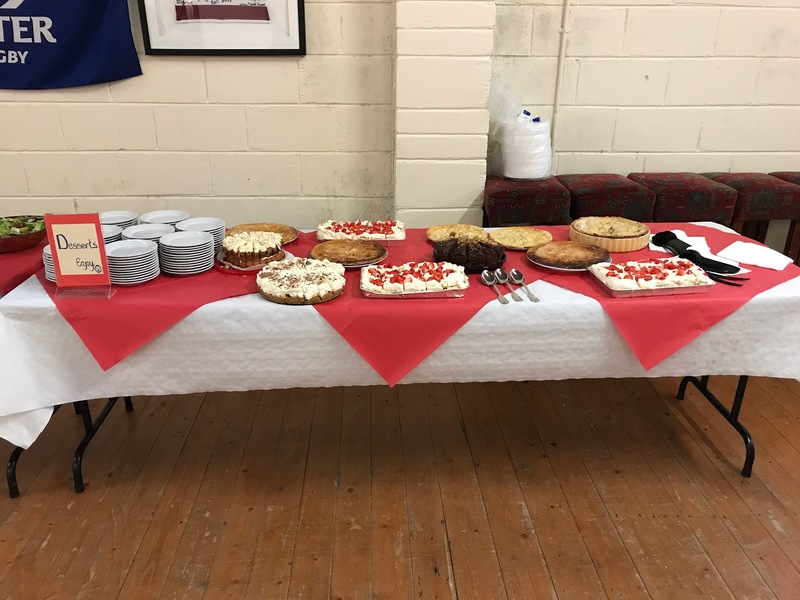 We were well fed with beautifully barbecued meat, homemade salads and an assortment of handmade desserts. 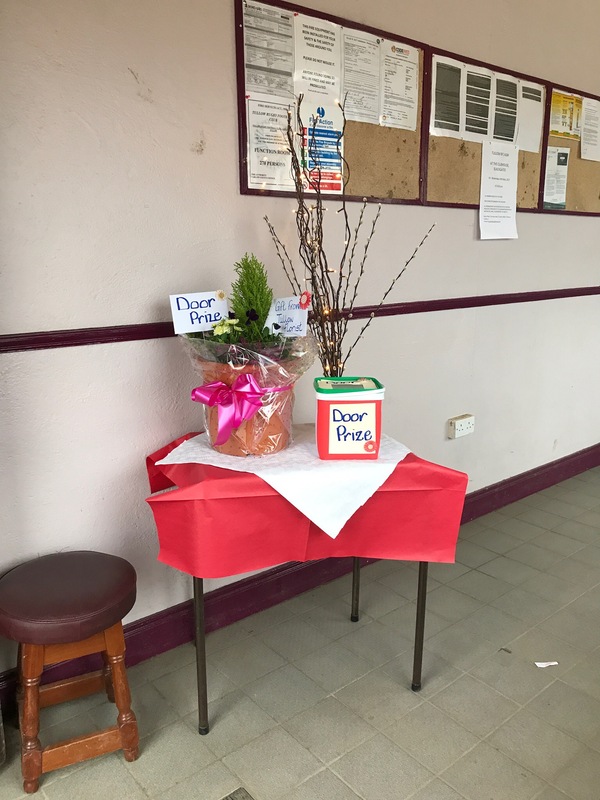 Our raffle, kindly sponsored by businesses in the town, had nearly 20 prizes. 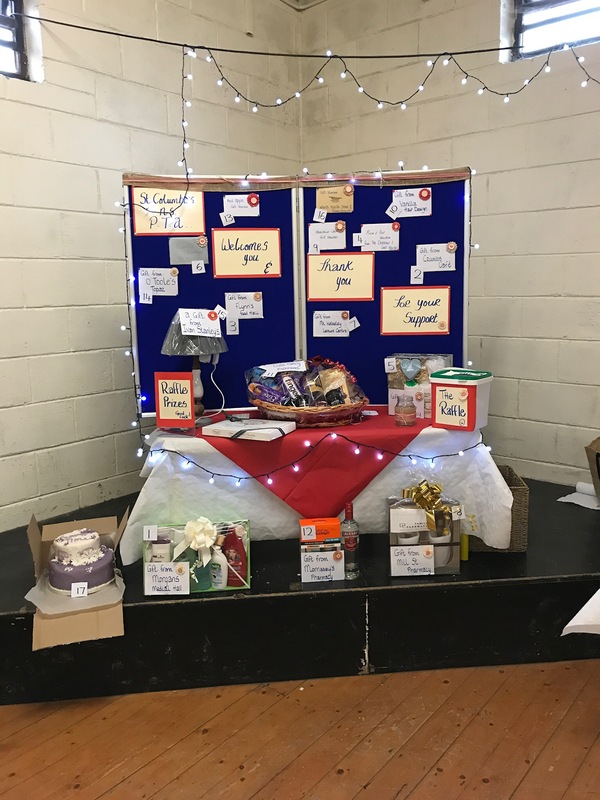 Thank you to all who donated items for the event. 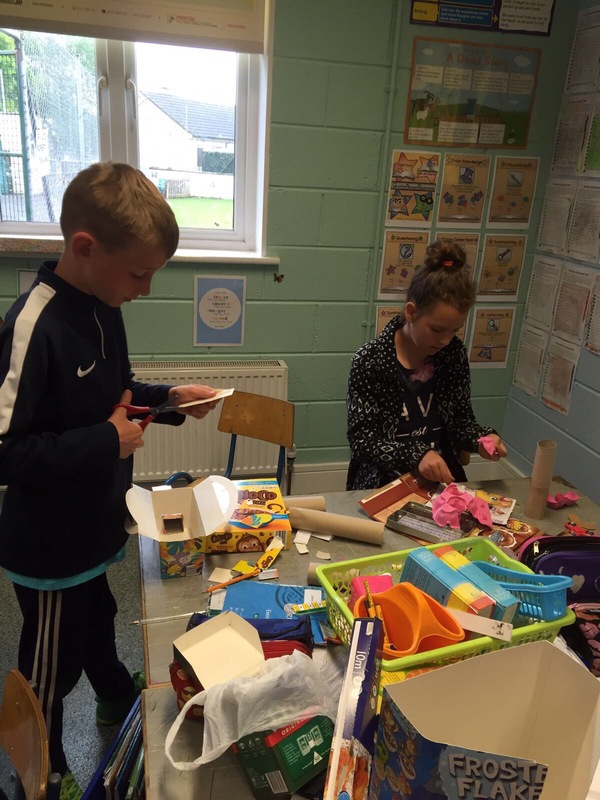 Thank you to everyone who came along on the evening and shared in our fun. 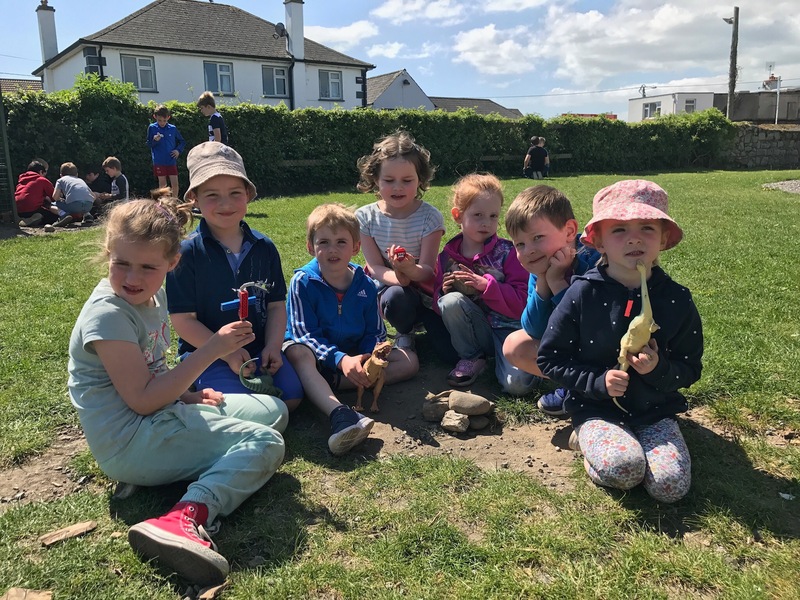 A special thanks to our wonderful PTA committee who worked long and hard all weekend to organise the barbecue and also to our barbecuers, Dale and Tim.